Lucy has passion for nothing but the flower. Lucy’s methodical design approach paradoxes the natural, untouched beauty of her work. Her design style harks back to the late 19th / early 20th century era. An era when the Bloomsbury Group were at their peak, the female form was considered the ultimate in grace and elegance, and the British social attitude was quietly reserved. Her new brand style is a visual depiction of where traditional vineyard-style typography meets contemporary artist. Where opulent gold meets aged texture. And where creative nous brings symmetry and asymmetry together in harmony. 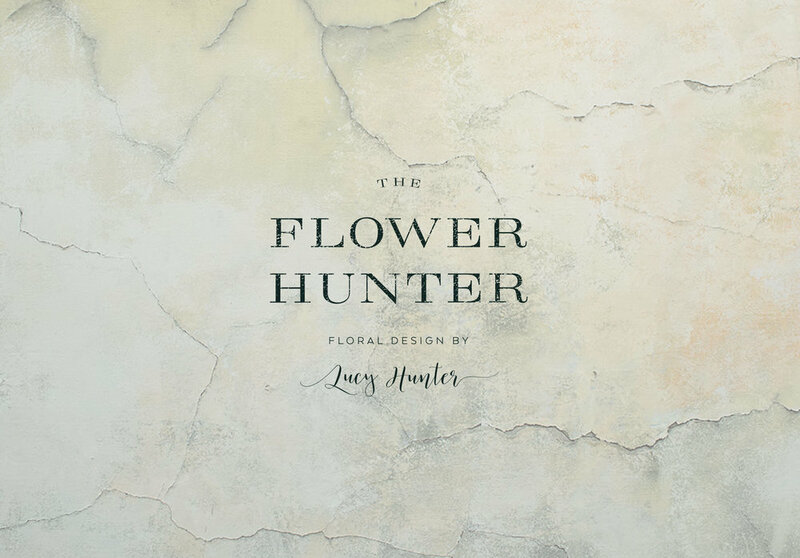 With almost 20 years of landscape design experience, The Flower Hunter is an exciting step towards floral design that brings Lucy’s extensive understanding of the outdoor flower into the indoor world; a floral style that rings true to the spirit of British landscape and celebrates it’s natural textures.